The mophead is the best known variety of Hydrangea macrophylla, but lacecap is also lovely. What is a lacecap hydrangea? 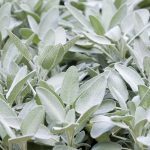 It’s a similar plant offering a more delicate blossom, and just as easy to grow as its more famous cousin. Read on for more lacecap hydrangea information, including tips about lacecap hydrangea care. 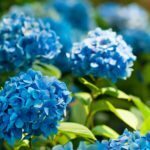 What is a lacecap hydrangea? It’s very similar to the mophead hydrangea plant. 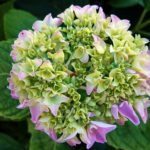 The big difference is that instead of growing round clusters of showy blossoms, this hydrangea grows flowers that resemble flat caps with frilly edges. The flower is a round disk of short flowers, edged with showier flowers. A lacecap is a Hydrangea macrophylla like the mophead variety and its growing requirements are the same. Laceheads prefer a part-sun, part-shade location; rich, well-draining soil and adequate irrigation. A site with morning sun and afternoon shade is ideal. If you plant lacecaps in an appropriate location, you’ll find that care for lacecap hydrangeas is quite easy. Regular pruning is optional, but regular irrigation is critical. Good care for lacecap hydrangeas starts with being sure your shrub gets enough water, but not too much. These shrubs like to get regular drinks, but only if the unused water drains nicely from the soil. Lacecaps will not do well in muddy soil. These hydrangeas prefer evenly moist soil. One step you can take to help the soil retain moisture is to layer a few inches of organic mulch on the soil about the hydrangea’s roots. Don’t allow the mulch to come within a few inches of the hydrangea stems. Fertilizer is a part of your lacecap hydrangea care program. Use a balanced (10-10-10) fertilizer according to label directions or blend organic compost into the soil every year. Right after the plant finishes flowering, snip off the longer flowering shoots to a lower bud. 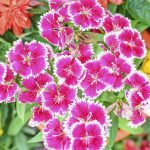 This “deadheading” helps your plant remain in flower all summer long. If you want to control the size of the plant, you can do more extensive pruning. Remove up to one-third of each stem, making the cut at a bud. Lacecap hydrangea information tells you that these shrubs tolerate severe pruning. If your lacecap shrub is older and doesn’t flower much, revitalize it by trimming off a third of the stems at ground level. Do this in late winter and pick the oldest stems to eliminate.